How cool is modern technology? Awesome! But don’t forget the Law of Untended Consequences; with advances come certain other realities we may not be aware of immediately. We live with cell phones and laptops, wanting a “signal” all the time, yet we completely ignore the overwhelming data that radiation and the massive increase in wireless signals adversely affects the body. But what can you do? 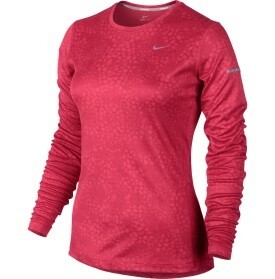 So, let’s chat about a different new technology: Dry-fit clothing. If you engage in any type of physical exercise, no doubt you have worn a dry-fit shirt. If you think the shirts are great, just wait until you try the underwear! This amazing bit of modern technology, however, has its unintended consequences, too. I have seen several patients with unexplainable skin outbreaks that were resolved when they stopped wearing dry-fit clothing. Am I saying get rid of your dry-fit stuff? Not at all. I am saying if you have a sudden skin reaction, question the possibility that your new clothes, a chemical reaction from your detergent, or a combination of both is the cause. This is especially common for woman in the chest and décolleté. If I’ve heard it once, I’ve heard it a thousand times: “The cause of the problem can’t be [fill in the blank] since I’ve been using that for years.” Consider, however, that it has deteriorated over the years and lost its positive effect, or perhaps you have now developed sensitivity to it. Consider whether your new cool clothing technology—in addition to its great qualities—is a cause of a skin condition. Modern materials do tend to break down at higher rates especially in athletic wear although it can be superior in the beginning. Around in Germany for a while, we still do not see too much materials made with silver. Silver has some really interesting anti-oder and anti-microbe benefits when woven in with fabrics. Read labels, try and care for your items properly and if they cause a problem, get rid of them before creating a problem. The biggest discussion going on in national politics is Obamacare. What is very troubling is that it actually hurts the 20-30 year olds the worst. No matter what your insurance coverage is however, a “no brainer” that many people over look is Med Pay for their car insurance. Whether you have health insurance or not, you definitely want to check and add it to your automobile insurance if you do not have it. Med Pay is an add-on rider that will cover your medical injuries in the event of an accident. It will cover you no matter who is at fault and an auto accident is the #1 statistical place you might get significantly injured. So while that alone hopefully sounds important, here is the best part: It is cheap! I pay about $48 every 6 months with State Farm for $25,000 coverage! That covers each passenger in the car too. Coverage starts at $1,000 and goes up as high as $50,000. When you run the cost per coverage it makes sense to get a minimum $10,000 coverage in my professional opinion. There is another huge benefit too. Often if you are injured and it is the other persons fault you will rack up tons of bills and they will not get paid until the entire case is settled. This will add stress and possibly credit issues if you can not financially cover it. If you have a high deductible then it will cover yours as well. Med Pay will pay as you go so your medical bills get paid along the way to recovery, another huge benefit. You do not need to wait until your policy renews to add it either. Go call your insurance company and get you and your family this often overlooked “no brainer”.